I guess another question since everyone seems to be awake now. What would be considered to hot for these engines? I have read about 15 different things on Google. Some say 190 is too cool others say 205 is to hot. Some say people are running 210-212. So you did all these mods at once and now it overheats? My guess is that the electric fan you put on can't cool it. If you cruise down the highway does it stay cool? Have you tried putting the mech fan back on? Even without a shroud it'll still move a ton of air. What electric fan did you put on? Most of the aftermarket fans are crap. No the mods were not all done at once. Had a leak in the old factory intake due to a broken bolt that held the choke (sensor). The electric fan was an attempt to fix the issue. I installed a Hayden Rapid Cool electric fan. 1300 CFM. (Today I installed a second fan on the outside on the passenger side as a pusher, this seemed to help a lot.) No idea of the brand it came with my ac system so I used it since I had it handy, it does seem much faster than the Hayden. bbf-falcon wrote: The Fan is pulling and NOT pushing.right? Also,if you can find a Fan from a Mark viii Lincoln,that will cool that baby down. Now I have one pulling and one offset pushing, both are being controlled by the MSD and kick on at 180.
supervel45 wrote: Most of the factory radiators I have seen are 3 row in those years. You can look through the cap and count the rows, when the water level is low enough. If the radiator you pictured is listed for 73-79 P/U's it will fit the Bronco. I agree with the poster above, electric fans are not that great. It would be nice to put a timing light on it and make sure were you are at. I removed the bottom hose and the cockpit on the bottom and ran the hose through it for an extended period, at first lots of rust colored sediment seemed to come out. The new Radiator cap is the same as the one that was on it, 13psi. Yes I removed all the old gasket, used a light wire wheel and completely cleaned the surface before installing the new gasket. 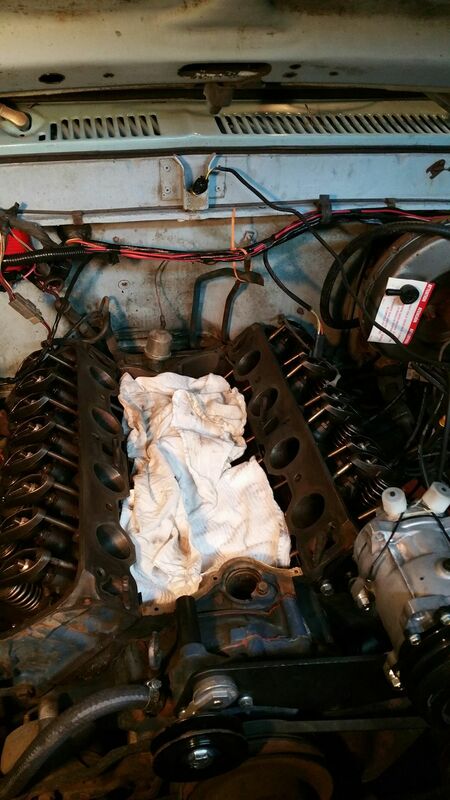 Used Fel-Pro gaskets and Gasgacinch Gasket Sealer, along with black rtv around the water openings and the ends of the intake. Allowed all to cure for 24 hours before cranking the engine. I used shop rags cut in half in the passages and counted and pulled all out when I was done prepping and also vacuumed and then blew everything off. I haven't tested compression on all the cylinders yet. 1300 cfm is no where near enough and the pusher is a bandaid. Return those aftermarket crap fans and either find a shroud for the mech fan or a dual fan setup from a late model windstar. These factory fans pull tons of air , are usually 2 speed and they are cheap on the internet. I can do that. However finding a shroud is probably not a option with Mech Fan attached to the 460, it sits at a bad angel probably the reason it didn't have a shroud on it. The fan blades only had about 1/2 inch clearance of the radiator top hose and pretty much came to the to of the radiator on rotation. How many CFM do I need? I prefer to buy new vs old and I am less worried about the cost than I am the quality. FSU_Bronco wrote: I guess another question since everyone seems to be awake now. My opinion is 210 is very hot, and the most I would run if I was forced to in traffic. I would much prefer 180. If you want to run A/C I think you would be better off with a mechanical fan and shroud with an electric pusher or two on the condensor coil. https://www.google.com/search?q=1979+ford+f150+engine+images&espv=2&biw=1366&bih=643&tbm=isch&tbo=u&source=univ&sa=X&ved=0CCAQsARqFQoTCJPu08_PhMcCFUZxPgodQGIBLw#imgdii=0yaloPoCMZi8HM%3A%3B0yaloPoCMZi8HM%3A%3B9QJD6D4z_XJ0qM%3A&imgrc=0yaloPoCMZi8HM%3A Ford had a short fan shroud on the 460 trucks from 73-79. So yes you can get one on there, as I did with my 351M to 429 swap with aftermarket motor mounts. You may have to redrill the mounting holes in the radiator flanges to raise it slightly though. I ran a factory Ford flex fan though, and it was a very tight fit. 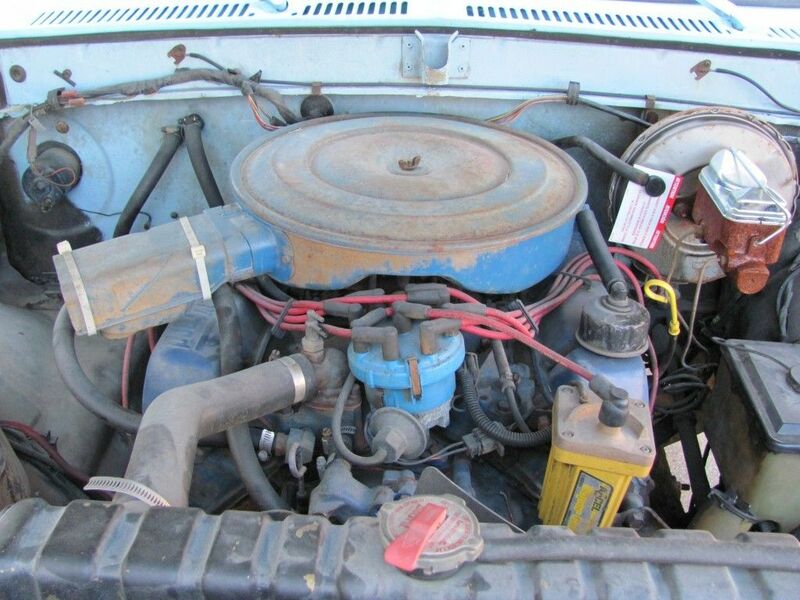 I bet you could find the correct fan/shroud/rad combo for a Bronco with a 460 if you do some googling. FSU_Bronco wrote: Would a Champion 4 row like this be a good solution? I do notice this unit comes with a 16psi radiator cap, and the one that comes with the bronco is 13 psi, however the bronco came with a 351m/400 and not a 460. At some point I still have to install an AC condenser in front of the radiator which will not help matters any. Also have your radiator checked for any internal tube blockage. Good luck, hope you get it figured out. 180? I assume I would use something like a Murray 180 Thermostat to achieve those numbers. I also saw a Mr Gasket 180 for twice the price but it says it is for racing. I think my plan of action is simple. Replace my 190 thermostat with 180. Install AC Condenser with pusher fans. Come back here for more advice on the next issue. 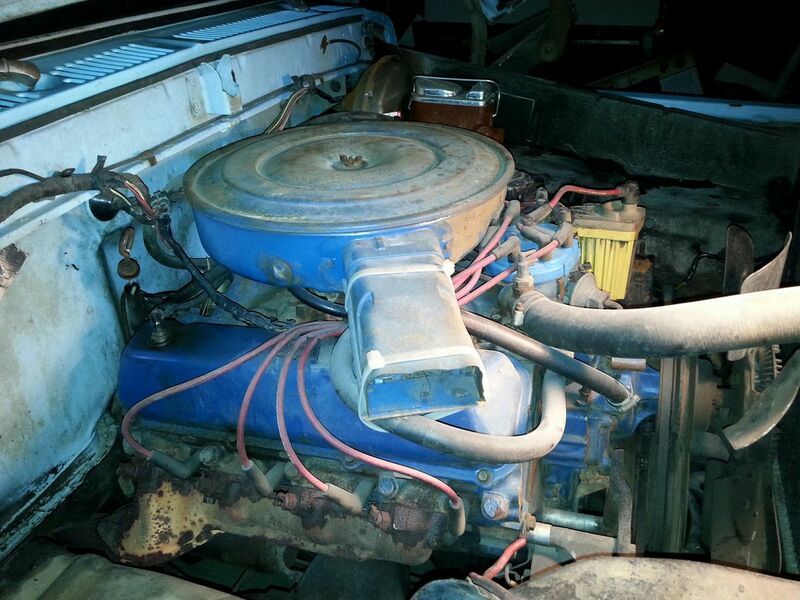 Here's a fan shroud for a 1975 F150 with a 460 (did Ford make that combo from the factory???) for $50. The fan hole placement seems to be about what your describe and the pics show. If you look closely you can even see a dimple at the top for the upper rad hose. You posted before I hit enter. The Lincoln Mark VIII is a different animal, compared to what he has now. In a new car ... the fan switch doesn't even kick-on the fan till 218 water temp. Could the impeller be screwed-up in the water pump...? SLord82 wrote: Here's a fan shroud for a 1975 F150 with a 460 (did Ford make that combo from the factory???) for $50. The fan hole placement seems to be about what your describe and the pics show. If you look closely you can even see a dimple at the top for the upper rad hose. 75 was the first year the 460 was available IIRC. The 75 was my first vehicle. To reiterate Ricks comments about the factory fans. 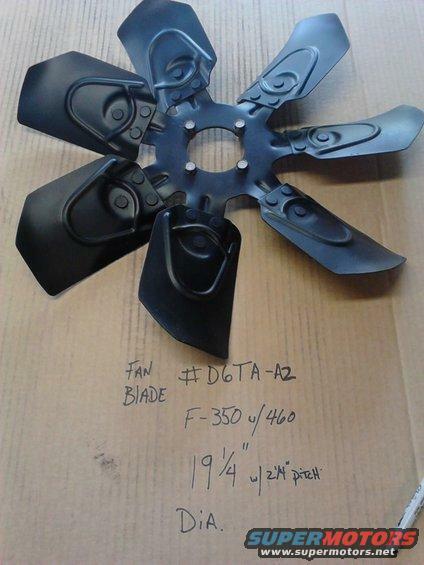 Most aftermarket fans are junk. The only good one I have found are SPAL fans from Italy ( I am not saying their are not other good fans but I have not experienced any). The Taurus/ Contour, Lincoln fan swap has been around for years and they pull ungodly amounts of air as mentioned. There is a ton of wiring info online as some are dual fans and some are a single fan but with 2 speeds. Regardless, they are cheap and they are Ford tough as in they seem to last a very long time. Then all you need is a couple of relays (because they draw huge current) controlled by your MSD and you are in business. Like you, I hate buying used parts, but in this instance it is the way to go. Plus, if that doesn't solve your problems you are out $40 instead of $1000 on some custom radiator and fan setup. The fans are controlled by the computer. You can turn them on whenever you want. Might want to double check that statement. Well I actually meant 74 but had 75 on the brain when I was thinking of my first vehicle. According to the Ford brochures they say a 460 was an "OPTION" on the F250/F350's for heavy duty work in 73 4x2 trucks but I never seen any where I lived. I guess nobody optioned up in my town. My dad bought a brand spanky new 75 supercab long bed with a 460 which years later became my first vehicle. 1974 is the official date I believe also. I have seen one 1973 F250 2 wheel drive with a 460. I think they came out mid 73 and a few snuck by with the 1973 year tittle? supervel45 wrote: 1974 is the official date I believe also. I have seen one 1973 F250 2 wheel drive with a 460. I think they came out mid 73 and a few snuck by with the 1973 year tittle? I assume you only mean in a truck considering mine is dated to 1970. Yes just in trucks, the 429/460 came out in 1968. FSU_Bronco wrote: I pressurized the system, it held pressure for 45 minutes and seemed to have no loss in pressure. Coolant level currently is about 1/2" below the radiator neck. How much pressure did you bring it up to and hold at for the 45 minutes? You do have an expansion tank on this, right? I have been traveling a lot the last couple months and wanted to update the thread. The overheating was resolved. I ended up putting a new 180 Thermostat, a new 3 row aluminum radiator and replaced the fan and clutch with a clutch-less fan. The engine now maintains 182-183 temp constantly. Now I am going to order a shroud, then install the ac condenser and I believe life will be good for a bit. Now on to repairing an overheating issue at highway speeds in a 4.0L jeep sitting in the yard... The battles never end.